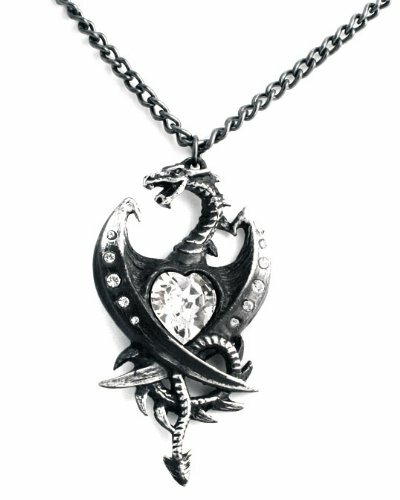 There’s still a little time to get a gorgeous piece of dragon jewelry for your Valentine this year or perhaps you know someone who loves dragons and has a birthday coming up. This selection of beautiful dragon jewelry pieces was a pleasure to put together and I’ve added quite a few to my own wish list! 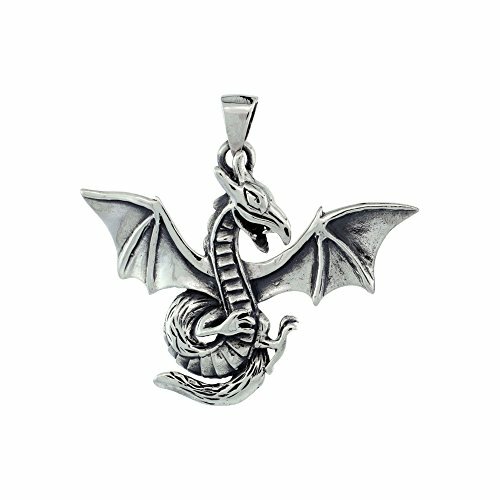 Who knew there were so many pretty dragon necklaces out there! 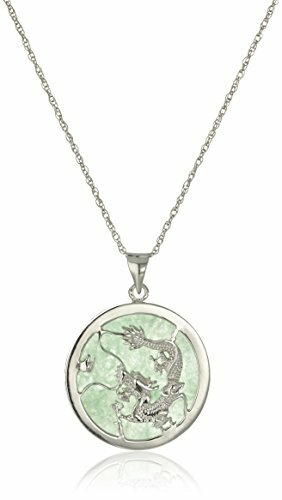 A dragon necklace or pendant is a perfect gift for any lady who loves dragons. The wonderful thing about necklaces like these is that they can be worn for special occasions or every day. 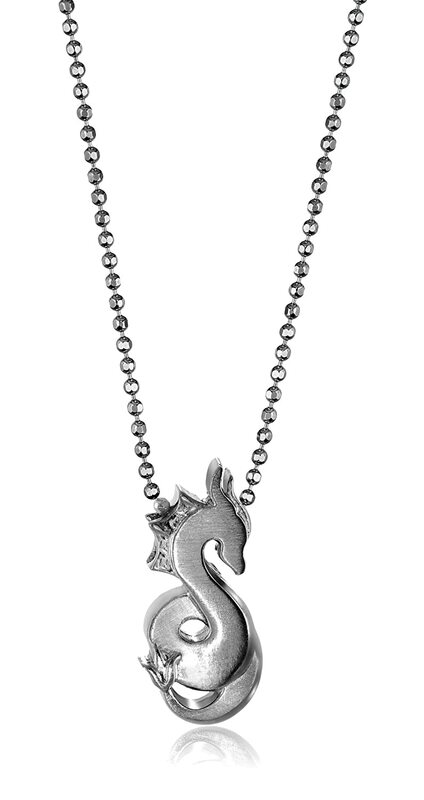 I love all of these dragon necklaces but if I had to chose a favorite (or two), I’d chose the cute Alex Woo dragon – it’s sterling silver and is pretty small at about 1/2 inch but it has such a clean, simple design that I think is very effective. 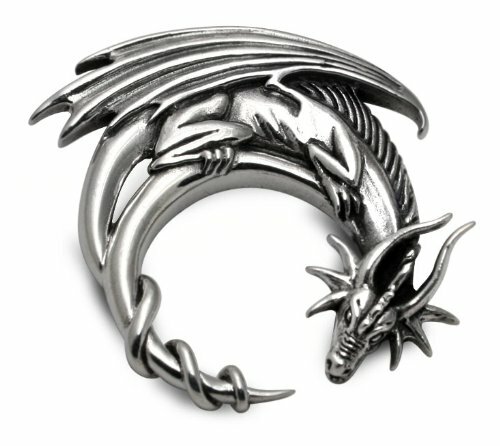 I also love the Silver Moon Dragon by Jessica Galbraith which is much larger so I’d wear it on a longer chain over a plain colored sweater for best effect. 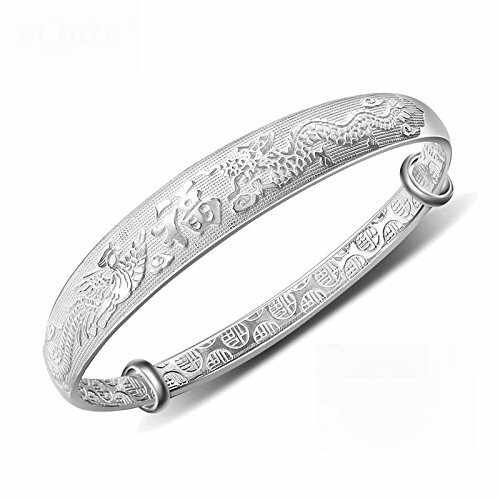 I tend to prefer bracelets over bangles but these gorgeous dragon bangles were so much prettier than any of the bracelets I found. 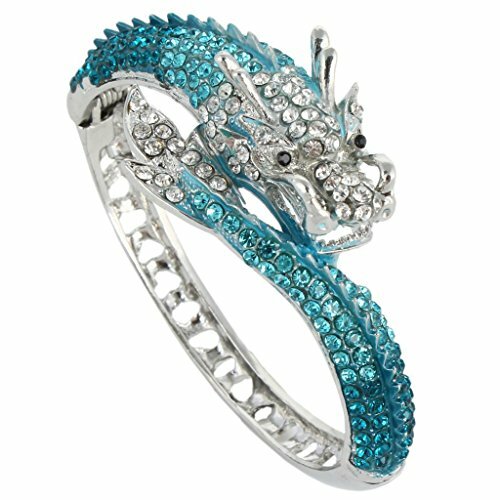 I love the blue crystal and silver toned dragon bangle in particular and luckily, the dragon bangle is available in several other colors too. Brooches and pins are often seen as being old-fashioned but they really do brighten up a dark winter coat or make a dark colored suit jacket just a little less stern. 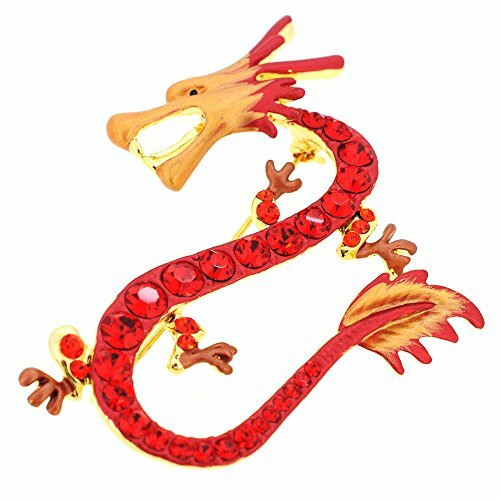 Any one of these stunning dragon brooches would work but I think my favorite is the red swarovski crystal dragon. 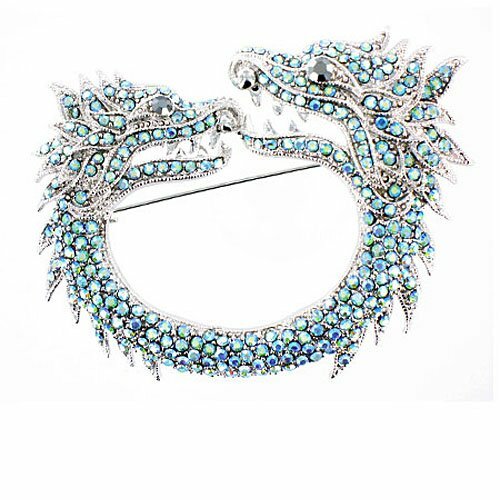 If you like a little bling on your brooches and pins, check out all these crystal dragon brooches too. 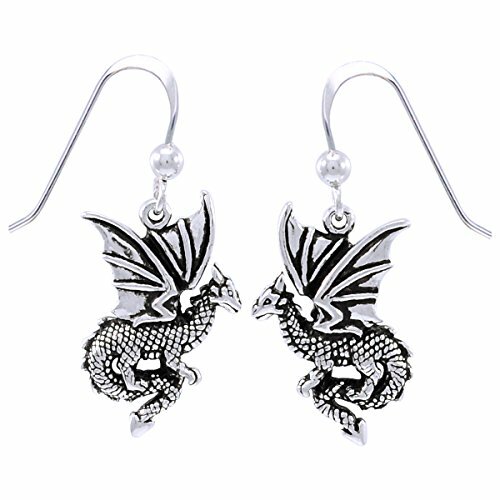 Lastly we have some lovely dragon earrings to show you – from studs to dangle earrings, there’s something for everyone in the dragon earrings selection. 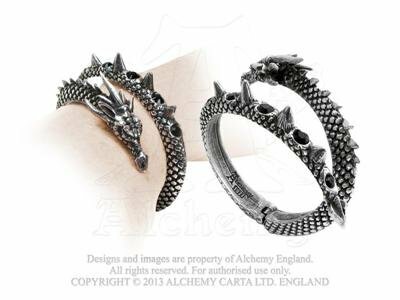 There are also ear wrap styles, gauges and clip-on versions too so finding your favorite pair of dragon earrings shouldn’t be difficult. 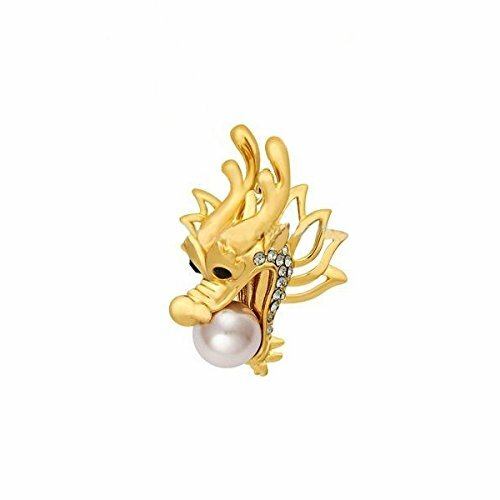 The hardest part will be deciding which pair of dragon earrings to choose! 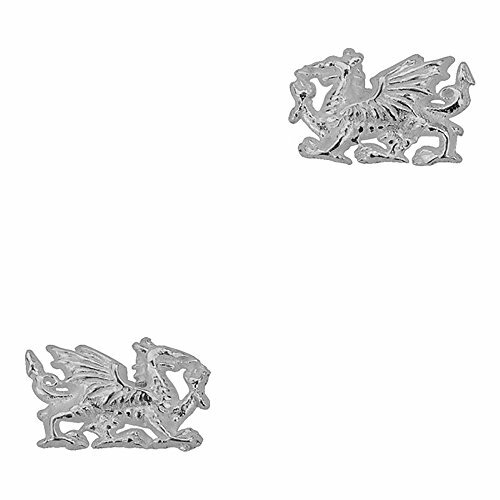 I really love the tiny Welsh dragon stud earrings but then I am Welsh so I may be a little biased! I’m very fond of dragons in all their myriad shapes and styles – from Chinese slim, snake-like dragons to cute cartoon ones, I have always had a dragon in my home in some shape or form. 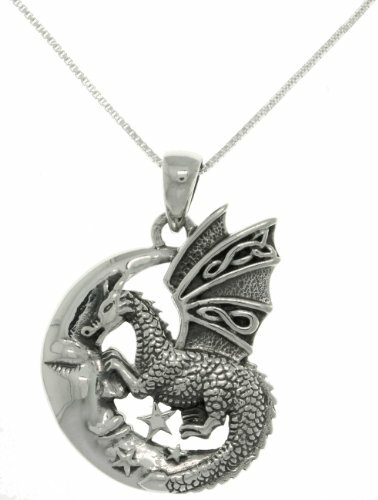 If you don’t want to buy dragon jewelry, check out last years’ Valentine Gifts for Dragon Lovers post, our Dragon t-shirts post or perhaps a little Dragon themed home decor gift! Don’t forget to check out our Gifts for Gamers and Geeks Facebook page, maybe give us a like and drop us a comment or two, especially if you’d like us to help find that great gift for the special someone in your life.